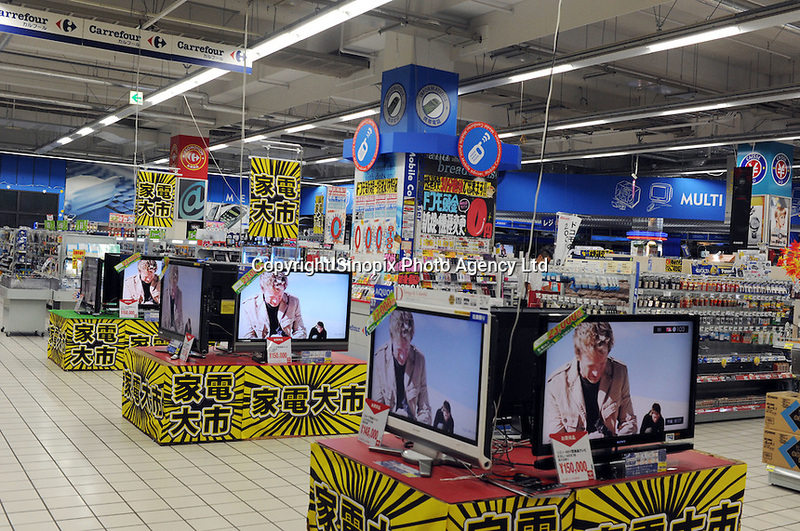 Televisions for sale at a branch of the French retailer Carrefour in Sayama, Saitama Prefecture, Japan. Carrefour sold it's stores to Japanese Company EON in 2005. The Sayama store was virtually deserted on Wednesday evening..